The Bertolani winery was set up in Scandiano in 1925 by Alfredo Bertolani, supported by his passion for grapes and by the knowledge of this territory. Family-owned by the fourth generation, Bertolanis respect of territorial characteristics and careful wine making processes produce Lambrusco of great quality. In 2008 a new winery was built considering a low environmental impact and sustainability, with particular attention to energy conservation and renewable energies. Some of the most important innovations are the use of rainwater and electricity production with a photovoltaic system. 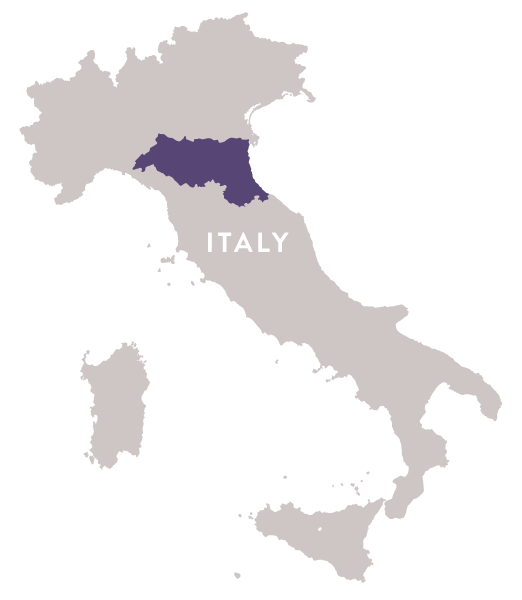 Wine-growing in Reggio Emilia is located 84% in the plane areas and 15%in the hill area. Scandiano lies in the south, at the foothills of the Reggio Emilia province. Bertolanis grapes come from hillside vineyards and foothill areas where soil is fine with high levels of clay and lime, low availability of water and low fertility. Hillside Lambrusco differs greatly from its lowland cousin, both in terms of climate and soil conditions. The vineyards in the hills are years old, their balance brings out the harmony and sparkling spirit of the grapes, creating wines with a strong character that are often more structured and sapid, with intense fruity notes.